Posted: Wed May 24, 2017 6:03 am Post subject: Cupboard love? 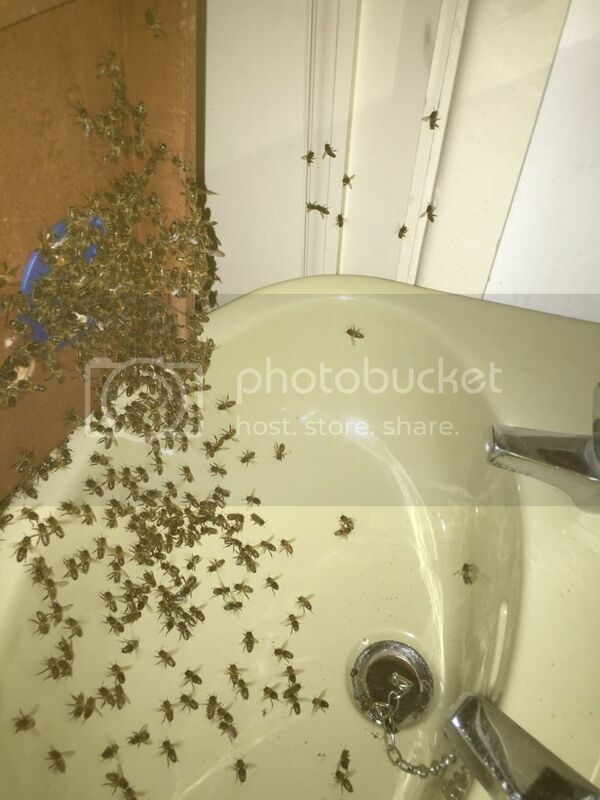 Swarm collected by placing handfuls of well behaved bees into box and walking the rest in by placing them into the sink. Has an odd idea of two air bricks on the outside wall into a toilet with that glass door on the inside making a cupboard in the thickness of the stone wall. 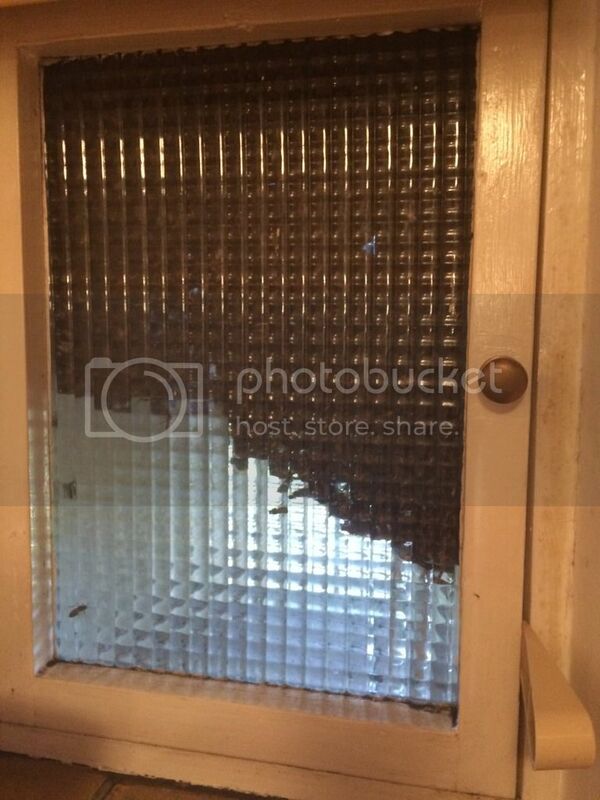 Suggested the owner put some mosquito netting inside the air brick unless he wanted his own bee colony in the loo.! They were scouting Sunday and arrived en mass Monday. I collected them Monday afternoon, no comb built at all. They were incredibly well behaved although working in a toilet with boxes and things was a bit of a faff. Managed to pop handfuls into the box then propped it up on the sink edge and put handfuls into the sink to walk in. Left them until dark and then cleared the rest into a smaller cardboard box. I put them into a TBH yesterday. What a shame.... the people could have had their own "in flat" observation hive....would beat reading the newspaper whilst on the loo! Great pics! And congrats on your new family!